Swindle is one of those artists that connects the dots, one able to drift seamlessly through sounds and visions, genres and vibes, to create something that’s always superior to the sum of its parts. The masterful producer has been at work for over three years, collating an LP of material destined to stay with us for a long time. The result being the innovative No More Normal, a kaleidoscope of grime, jazz, funk, soul, hip-hop and everything in between. This is the South London native’s third album, after 2013’s Long Live The Jazz and 2015 follow-up Peace, Love & Music. Those two predecessors are marvellous marriages of the sounds that make London what it is: a melting pot full of originality and the unexpected. No More Normal, with respect, is something else however—an album packed full of bangers that weaves into a narrative of maturity and pure bliss. And then you have the prodigious ensemble of features which provides a stark reminder of the immense quality and credibility the UK scene possesses; Kojey Radical, Andrew Ashong, Theon Cross, Etta Bond, Kiko Bun, Nubya Garcia, Rider Shafique, Daley, Eva Lazarus and many more grace with flare and diversity. That’s before the trifecta of grime mythology are even mentioned, with Ghetts, P Money and D Double E each adding an incredible distinction to a quite inconceivable project. It’s no wonder this story has been three years in the making—curating a documentation of culture takes time and a lot of patience which is something that Swindle, born Cameron Palmer, radiates in abundance. 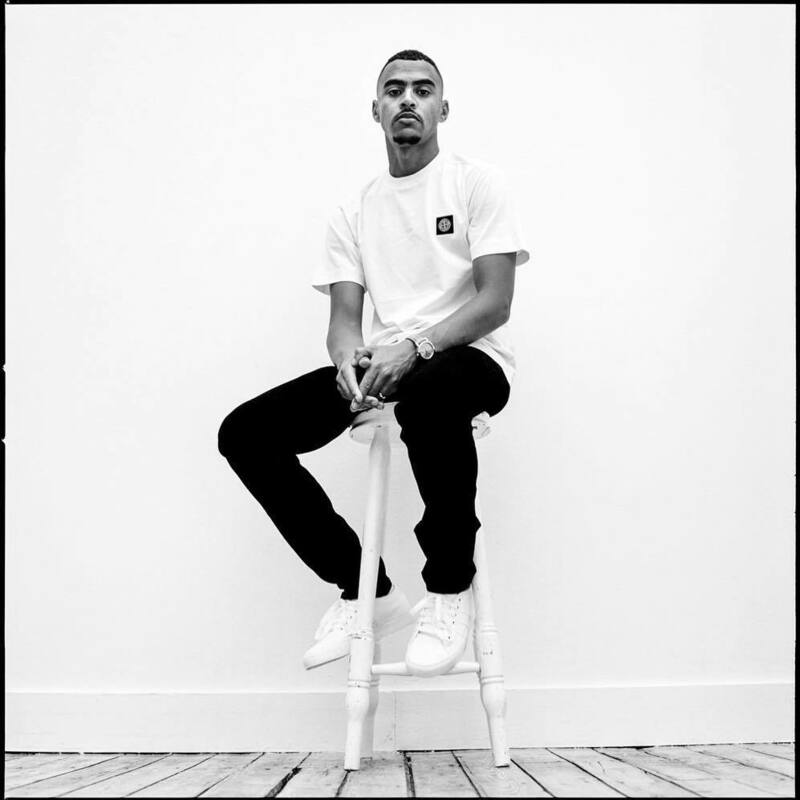 As well as making this album, more recently, Swindle has worked on material for the likes of Mahalia, Kojey Radical and Joel Culpepper, as well as producing three tracks for D Double’s long-awaited debut LP Jackuum!. Like the majority of his work, the level of production and instrumentation on No More Normal is delicate yet lavish, each track chronicling something so contrasting yet also so amalgamated to create an overall extraordinary body of work. The album starts with the prophesying of Rider Shafique, a disciple of Mala’s Deep Medi Muzik label (a title Swindle can also lay claim to with his 2013 debut), on “What We Do”. Setting the scene for a penetrating half-hour of unquestionable prowess, backed up by the majestic flows of P Money and D Double E, the track lays the groundwork of what’s to come. The G-Funk resonating “Get Paid” swiftly follows, straight out of Dam-Funk territory, with its multi-layered synthesizers and portamento vocals transporting you to the West Coast with hypnotic ease; a major theme of the album. A whomping bass then takes over in “Drill Work”, complemented by a fierce Ghetts doing what he does best, unleashed with poetic freedom, dropping neighbourhood shoutouts with an almost staccato rhythm. Things are calmed right down with “Run Up”, a slow-jam of numerous styles and characters, not least of all wrapped up by a crushing sax solo courtesy of the sedating Nubya Garcia. The Kojey Radical-assisted “Coming Home” is a star cut, with blaring horns setting the tone for an absolute anthem of a track. “Reach The Stars” and “Knowledge” continues with a buttery neo-soul tone supported by Swindle’s fluctuating beats, jammed full of soulful grooves, twists and turns. “Take It Back” then sees the return of D Double E reminiscing with nostalgic ad-libs—‘I used to get licks from my mother, but you know what I still love ya’—proving why he’s the pioneer that he is, opening up about the trials and tribulations which have made him a legend. “California” showcases the juxtaposing harmonies of Etta Bond and Kojey Radical, whilst “Talk A Lot” penultimately reveals the power and attitude of Eva Lazarus with elegance and finesse. The album closes in perfect fashion with “Grateful”, a compelling tour de force enhanced by the mighty Kojey again over a sombre piano melody and finished off just how it all started—by the uplifting and inspiring spoken-word delights of Rider Shafique. It’s far too early to call this an album of the year, but you get the confident feeling that Swindle’s star has risen to a defining height. No More Normal is a strong piece of work that will age with sophistication and critical acclaim.